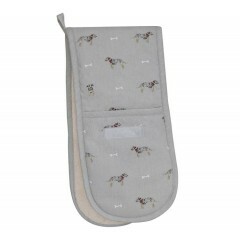 This design for equestrianists is just one of our wide range of great-looking, hard-wearing cotton oven gloves, with heat-proof polyester filling to protect your hands from burns in the kitchen. 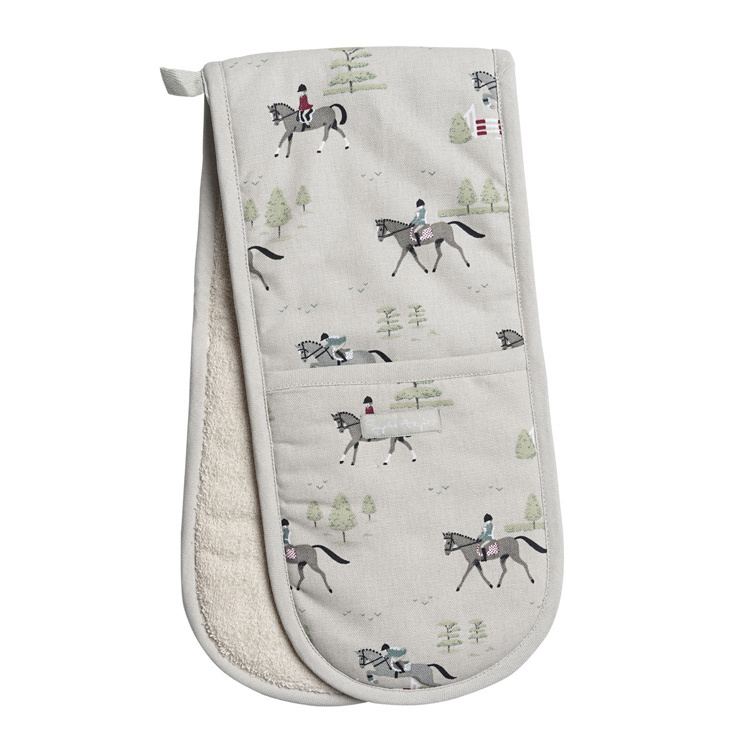 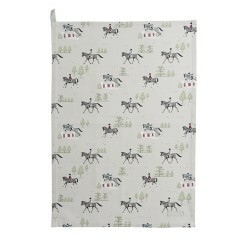 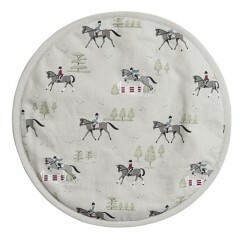 If you ride yourself or simply admire the elegance and potency of horses, then we know you'll be tempted to introduce Sophie Allport's Horses linens to your kitchen. 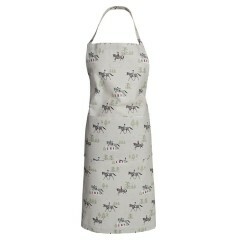 As usual Ms Allport's nuanced eye for soft, neutral colours means the Horses double oven glove will match almost any kitchen colour scheme. 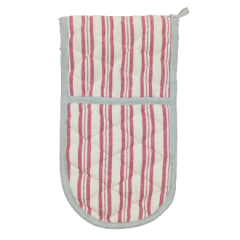 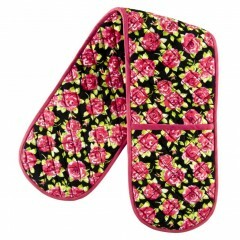 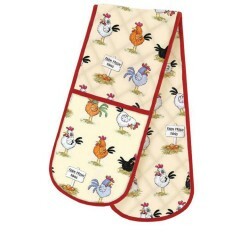 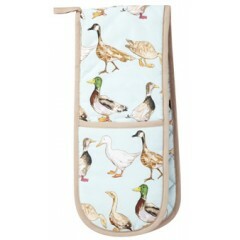 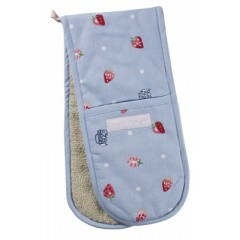 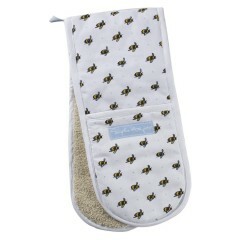 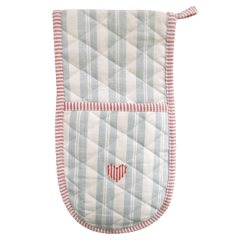 Like everything at Heart to Home, these cotton oven gloves are practical as well as pretty. 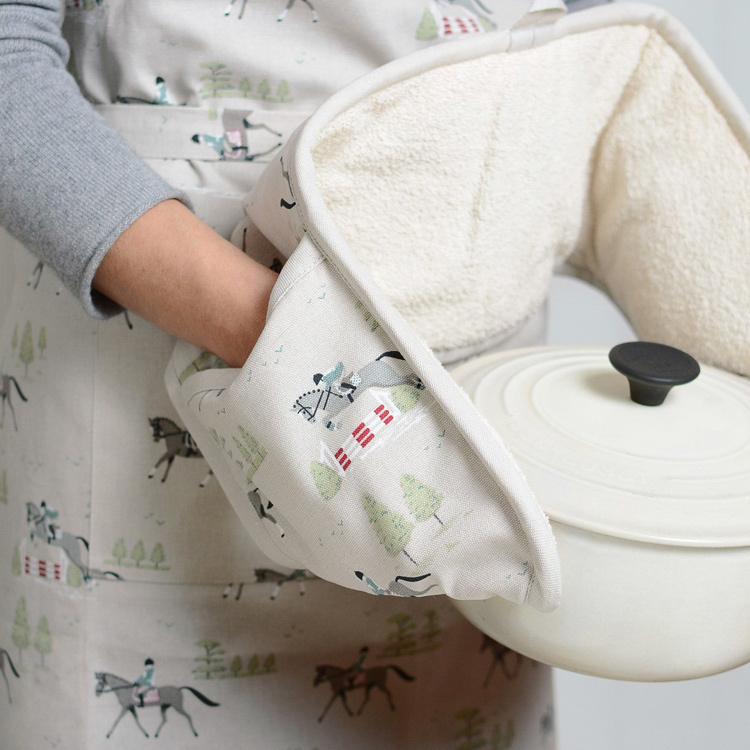 This is not an article designed to be too good to use. 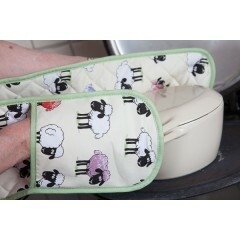 It's tough enough to protect your hands from a scorching hot casserole dish and it's machine washable so you can expunge those inevitable splashes and drips of gravy or grease.